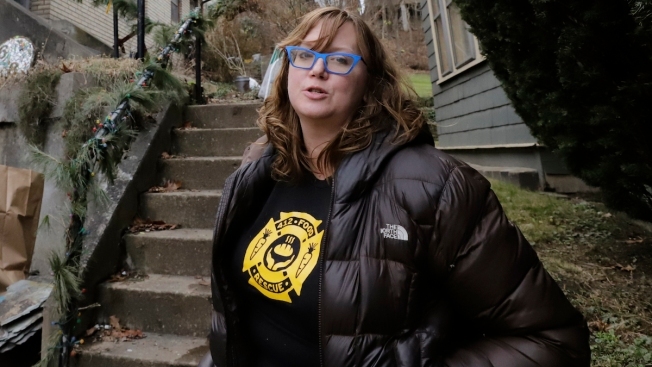 Rebecca Macleand, a housing program specialist for the U.S. Department of Housing and Urban Development in Pittsburgh, stands outside her home in Pittsburgh Thursday, Jan. 3, 2019. Maclean, 41, has been on furlough since Dec. 21. 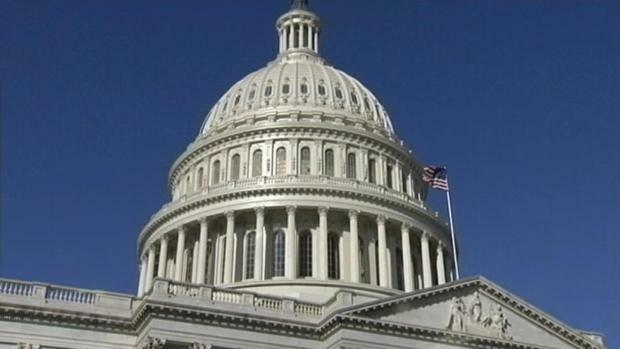 A local shop steward for the American Federation of Government Employees, Maclean said she is frustrated that federal employees are being used "as a bargaining chip in a larger government battle." As the government's partial shutdown pushed toward a third week, hundreds of thousands of federal workers are feeling the financial pinch. They're calling mortgage companies, hoping for a break, and weighing the risks of letting other bills go unpaid. They're reheating leftovers and turning down the thermostat to save a few bucks. They're looking into applying for loans or unemployment insurance. This is Nora Brooks' favorite time of the year. Not because of the holidays, but because of her job. The 61-year-old Philadelphia native is a customer service representative for the Internal Revenue Service. She loves helping taxpayers navigate the IRS, including getting their refunds. "I get to be the person that explains to you what you have to do to make it better," Brooks said. At 11:30 p.m. Dec. 21, Brooks entered into the system one last concern from a taxpayer whose refund had been held up. "I didn't want the shutdown to further delay this taxpayer I made a commitment to," she said. For the past 13 days, she's been furloughed, worrying about whether she'll need to seek a second job. The agency requires pre-approval to avoid conflicts of interest, but there's no one in the office to sign off. She stayed up until 3 a.m. Wednesday figuring out which bills needed to be paid and which could wait. The agency gave employees a letter explaining the furlough to creditors, but "it means absolutely nothing to them," she said. So Brooks' recent purchases sit in bags, receipts on top, in case she needs money for the electric bill. The thermostat is turned down; she dons a hoodie inside. She spent her health savings account instead of letting it carry over because the reimbursement could pay bills. "You try not to freak out, but I don't have any control over what's going to happen next month. I'm second guessing. Should I have had a whole nest egg? Well, no, my pay doesn't allow for that," she said. Maclean, 41, said her family is trying to cut back on expenses. They stayed home for a movie night instead of going to a theater. Instead of takeout dinners, they eat leftovers and call it the "Freezer Baking Challenge." The family's financial outlook isn't dire yet — her husband, Dan Thompson, owns a knife-making business and works as an elected constable. But they recently sat down to prioritize which bills must be paid and which can be late without dinging their credit. "We're fine for now," she said. "Missing two paychecks in January might be a little hairy." 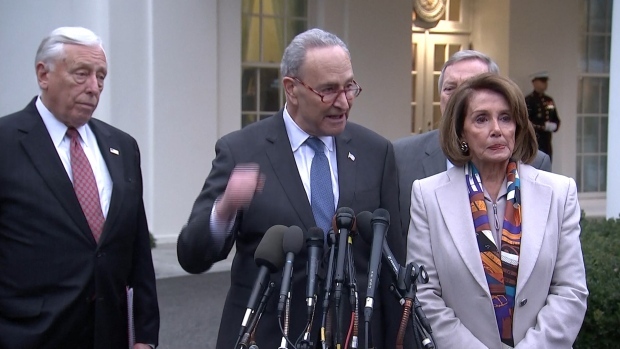 Maclean, a local shop steward for the American Federation of Government Employees union, said she's frustrated that federal employees are being used "as a bargaining chip." "I don't know why they want to use 800,000 government employees to make a point," she said. Wagner, 37, and 36-year-old husband Nelson are both federal employees. She's a branch chief for the Securities and Exchange Commission in Washington. He works for the Justice Department. Neither will draw a paycheck until the government reopens. "The uncertainty is scary," she said. For now, Wagner isn't worried about covering their biggest monthly expenses: the mortgage on their Takoma Park, Maryland, home; child care for their two kids; and credit card bills. Her children's daycare centers are allowing parents to defer payments during the shutdown. "Frankly, I think it's going to affect us if it lasts much longer. Then I think we will have some cash-flow issues," she said. "I definitely went really light on it this year," Parrott said. "I explained to my son that our financial future is uncertain." Parrott, 47, a union steward for the National Federation of Federal Employees, isn't taking it for granted that she and other furloughed workers will get back pay, as they did after previous government shutdowns. "It's scary," she said. "I do live paycheck to paycheck." Gas isn't cheap, so Parrott stays home as much as she can. With rent and car payments, she doesn't have much wiggle room in her family budget. "I already live pretty frugally," she said. 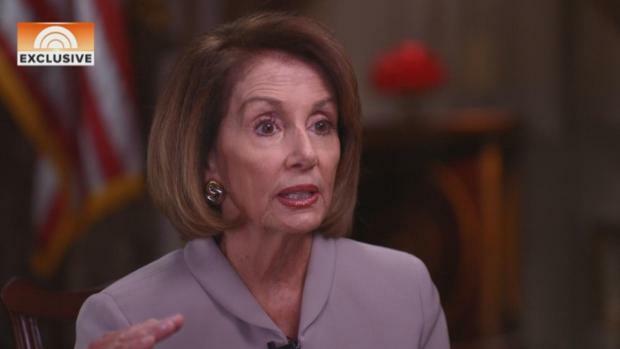 She's reluctant to borrow money from a federal employee credit union but says she might explore that if the shutdown extends into next week. Mike Gayzagian, a Transportation Security Administration officer at Boston's Logan Airport, got his last pre-shutdown paycheck last week and continues to report to work, as all TSA officers have since the government closed. "It's a bizarre situation to be in, where you know you have go to work but you're not getting paid," said Gayzagian, who has worked for the TSA for more than a decade and recently became acting president of Local 2617 of the American Federation of Government Employees, which represents TSA workers in Massachusetts, New Hampshire and Maine. The Watertown, Massachusetts, resident says he and his wife, who works for a bank, have January's rent covered, but they've already started looking to defer other bills on their two-bedroom apartment. "As a federal employee, we're not supposed to be political," Gayzagian said. "This is not our fight, but we're being used as pawns." He's also concerned about the effect frequent shutdowns could have on government service. "People can't work in an industry that's at risk of shutting down once or twice a year," he said. Federal contractor Chris Erickson says he'll run out of vacation days if the shutdown continues. The father of three from Salt Lake City will then crack into his savings, and he'll likely postpone a 14th wedding anniversary trip with his wife to a cabin. Erickson said he likely won't get the chance for reimbursement for the lost days because he's a contractor. "It feels like contractors are forgotten in the mix," he said. "Congress issues back pay for the government employees, and long-term contractors are ignored." "One can argue over the merits of border security," he said. "But if you really think about it, walls are pretty ineffective." Erickson called Washington's political divide depressing. "We've moved to the point where we no longer see the person who has a different set of views as different," he said. "We see them as evil." Associated Press reporters Philip Marcelo and Ben Finley contributed to this report.